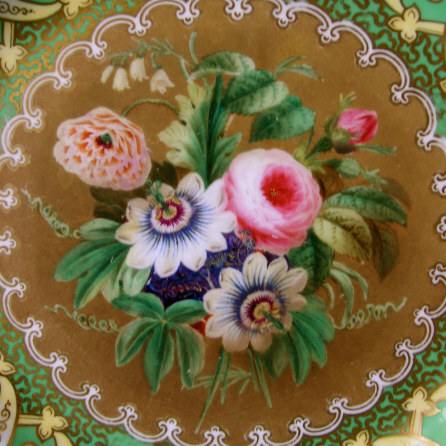 Superb English cabinet plate c. 1835 (possibly Davenport) painted with flower bouquet on brown ground in the centre and green border with vermicelli pattern in gilt. 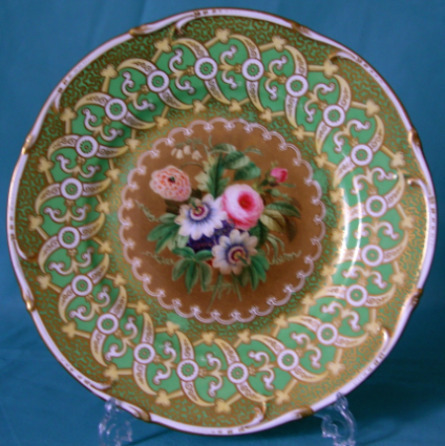 Dimensions: 9.5"(24cm) diameter. Unmarked. Excellent condition. Printed mark in black or other colours c.1815-30, in blue c.1850-70. Rare printed mark c. 1830-40. 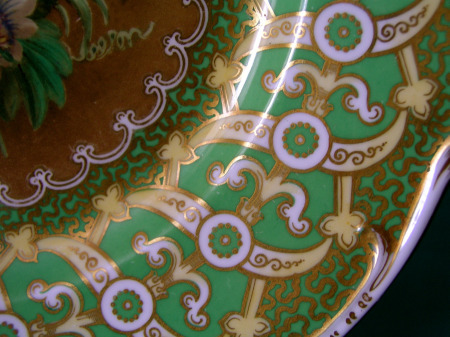 Printed mark in different colours c.1870-86.